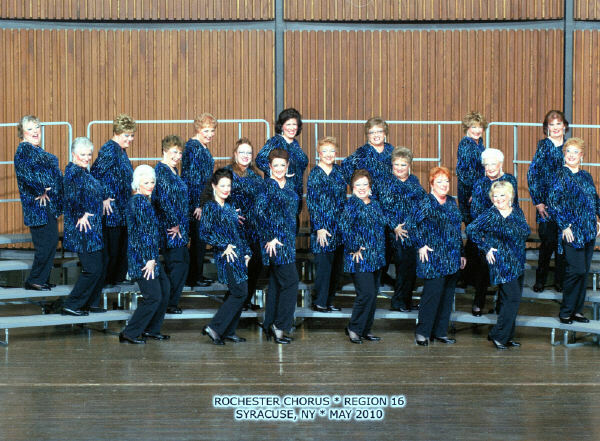 The Rochester Chorus is a women’s a cappella chorus that sings a variety of popular music in 4-part harmony. We are dedicated to providing our members with vocal and visual education to achieve both personal growth, as well as to strive for constant improvement of the ensemble as a whole. Fellowship and FUN are a big part of our musical journey together! Rochester Chorus, in existence since 1958, has a long and rich musical history. Its members represent Monroe, Livingston and Ontario counties. 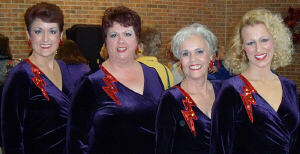 The Chorus is very active in community performances throughout the greater Rochester area. Our four-part musical entertainment is provided for any occasion or event, including Singing Telegrams, public functions and festivals, senior facilities, Redwing’s ball games, etc. Please contact us at (585) 831-6975, or rocharmony@yahoo.com, to entertain at your next event or to deliver a Singing Telegram to that special someone! We welcome women (age 13 and up) who sing to visit us at one of our weekly rehearsals, held at 7 PM Thursdays at the St. John's Home, 150 Highland Avenue (corner South Avenue), Rochester, NY. If you are a “shower singer” and enjoy performing, bring your sister/daughter/friend/neighbor and come see what we’re all about! Please contact us at 585) 831-6975, or rocharmony@yahoo.com, for more information, or for car-pooling information to visit a rehearsal. If you would like more information about Sweet Adelines, click this link and complete the very short survey. You will then be mailed a free mini, multimedia CD about the organization. The Rochester Chorus is affiliated with Sweet Adelines International, a worldwide organization of women singers committed to advancing the musical art form of barbershop harmony through education and performances. This independent, nonprofit music education association is one of the world's largest singing organizations for women. With international membership of approximately 26,000 women, "Harmonize the World" is the organization's motto. 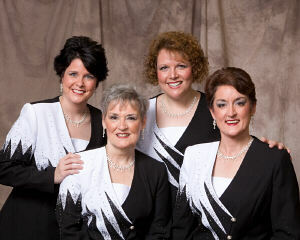 The organization encompasses more than 1,200 registered quartets and 600 choruses. Click the logo below for further information. The Rochester Chorus is a non-profit, 501-C organization that welcomes your tax-deductible donation to help defray the costs of women’s music education. To make a donation electronically (for singing telegrams, chorus performances or general contribution), click the button below to be routed to PayPal. Please call us at 585) 831-6975 with any questions. The Rochester Chorus is proudly affiliated with the organizations below. Please click on the logo to go directly to the appropriate web site.